When designing a kid’s bedroom there are certain practical elements that should be included every time. A Bed. It goes without saying that every bedroom you need somewhere to sleep. However, a childs’ bed needs to be comfortable, inviting and safe. Lets face it when your child sleeps well, every one is a little bit happier in the morning! The bedroom needs to be a Safe Space to allow unsupervised play and activity. So sturdy furniture, stair gates if needed, blind cord ties, furniture fixed to walls as necessary, no sharp edges, no exposed plug points. You get the idea. Good Storage. All kids have a plephora of toys no matter how old they are, and they have a tendency to take over. As well as the obvious mess, this can actually confuse and overwhlem a child. Good structured storage for toys can help in more organised play, and also teach and encourage children to tidy up after themselves- win win! Make the most of the size of the room you have by utilising wall space, and have furniture that uses the vertical as well as horizontal spaces. Now for the fun part. 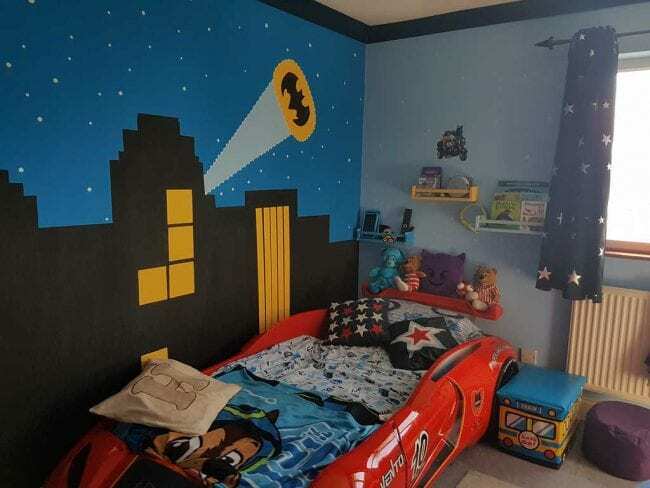 How do you design a kid’s bedroom to inspire their imagination? Here are my top tips. It can be as extravegant or as undertstated as you wish. Think about what your child is in to, what excites them? 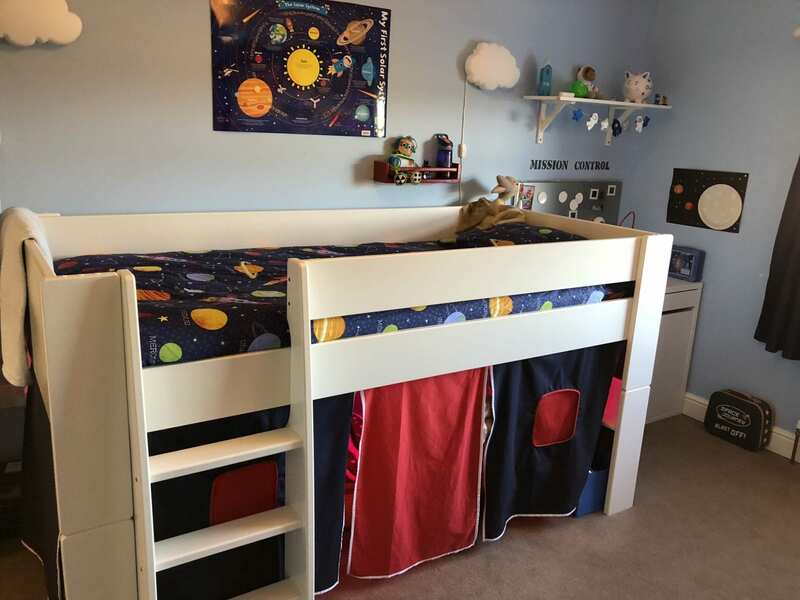 It could be as simple as a favourite colour or animal; a tv show or character; or a broader theme like what we did for my son who is obsessed with all things space, an intergallactic stellar bedroom. 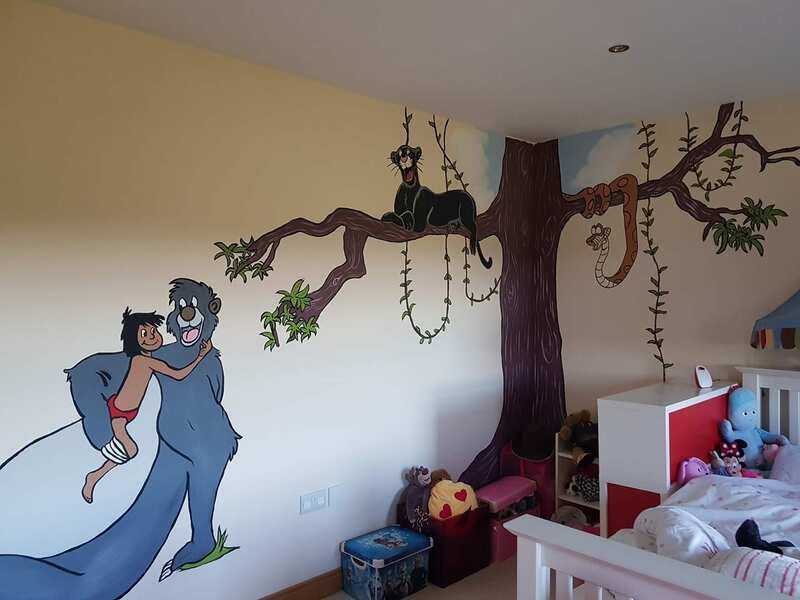 Check out this amazing themed Jungle Book room, by Around the World in 18 Years. There are loads more ideas on Pinterest so take a look at our Pinterest board for some more inspiration. Bright, bold colours are great for play and being inspiring, yet the room still needs to be restful to sleep in. So pops of colour, feature walls, even wall art can all add interest without making the room feel too busy. 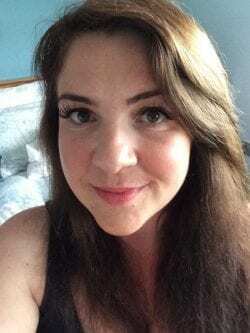 Look at this amazing feature wall by Emmysmummy.com, with full details of how to create your own over on her blog. Choose a Bed That’s Not Just a Bed! Cabin beds in my opinion offer great flexibility. 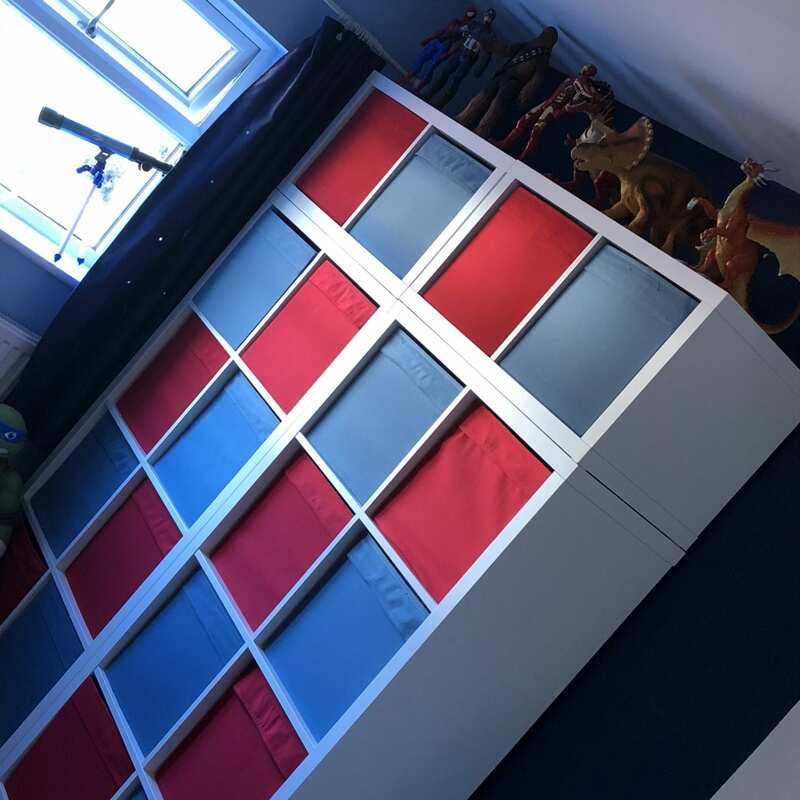 There are lots of reason why they are a great choice for a childs bedroom. They capitilise on space as well as making the bed itself exciting, and can create extra dimensions and areas in the bedroom. In Oliver’s room his bed doubles up as a fab den space underneath, or you can use the extra space for storage or even a desk. If you are thinking about getting a cabin bed, then check out the great range of Cabin Beds from Room to Grow. Kids love exploring and creating a room that has interactive elements can encourage this. A chalk board, different lights, buttons to push, mirrors etc. These extra little elements can be added inexpensively, but add an extra interest to their bedroom. Using functional accessories such as lights which the kids can easily operate makes it fun yet functional. Even small mid sleeper cabin beds have little ladders that can make going to bed an adventure. Creating a den space gives the child somewhere they can retreat to and take some time out when they feel overwhelmed. It can also be a really fun space, and great for encoraging imaginative and free play. 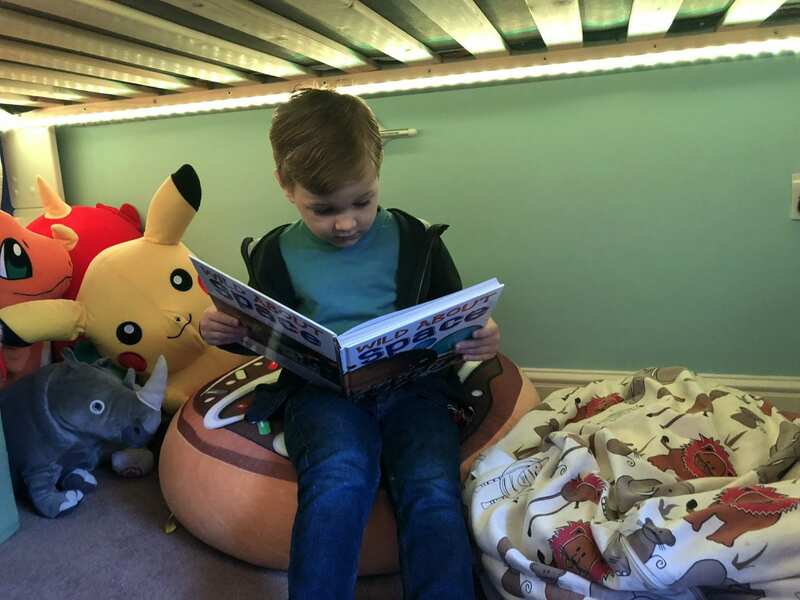 We used the space under Oliver’s mid sleeper cabin bed to create a den housed with his favourite toys and bean bags, and decked it out with multi-coloured strip lights to make it more exciting. It has been everything from a rocket ship, castle under attack, submarine and even a dungeon. 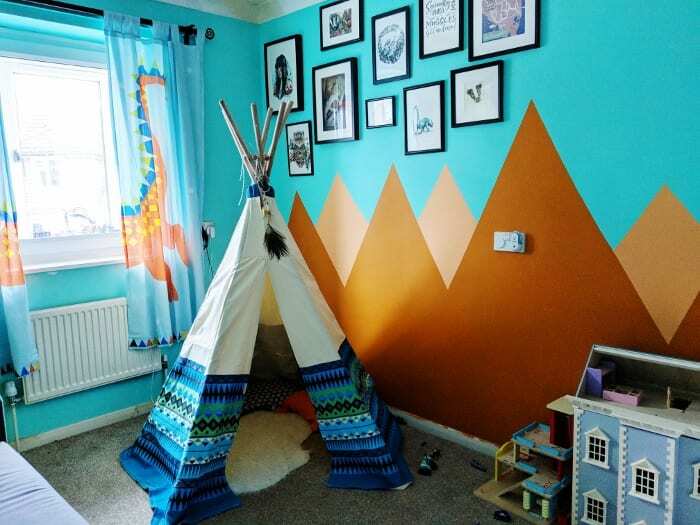 Equally you can create a den space just in a corner of the room with bean bags and cushions, or a use a teepee or tent if you have the room. Oliver in his ‘den’ under the bed. We have put in a multicoloured strip light which he can operate from a simple remote control. A desk is a great idea to allow a chid to have space to sit and draw and use writing materials. This becomes even more important when the kids start school. You can make it more interesting by having fun desk tidies, and lots of creative materials to hand for them to use. Having a magnet or notice board nearby is also a great idea where they can keep their latest pieces of artwork. If you don’t have space for a desk, you could create a little creative corner with a little table and some paper and colouring in pencils and crayons, or even just a chalkboard on the wall. We all know that encouraging our children to read and enoy books from an early age is so important. So having an accessible bookshelf can really help. They can see all their books arranged neatly, and choose their favourites. You can even get creative and make the bookshelf seem more inviting. 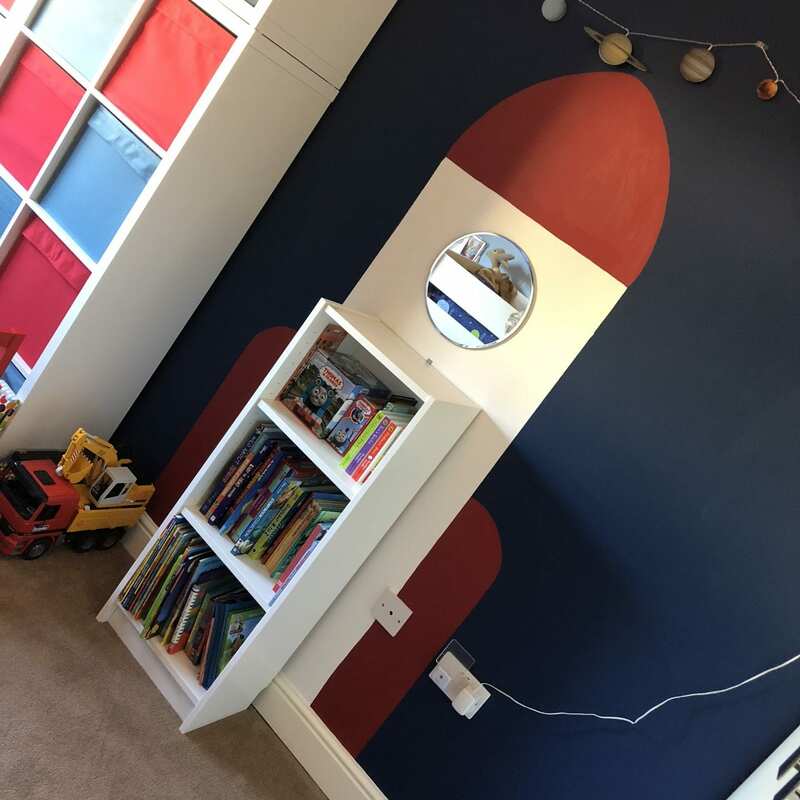 We turned Oliver’s into a space rocket, and added a little mirror for a porthole. Having a place for everything and everything in its place has a number of benefits for your child, and you! 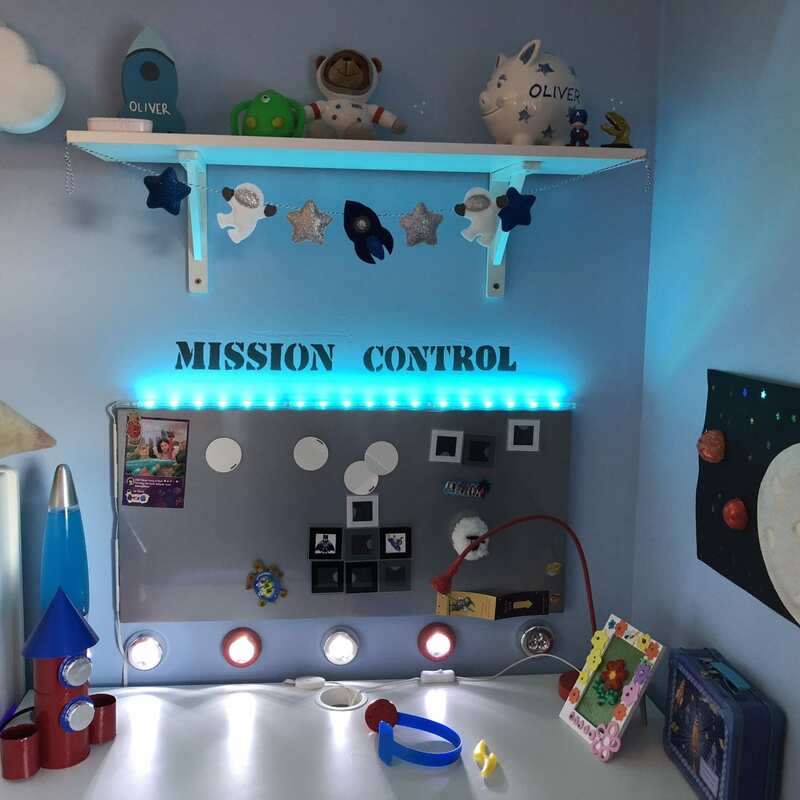 Tidy rooms mean not only is there more floor space to play in, but it allows the child to choose what they want to do and helps encourage free play which is great for little imaginations. So there you have it, they are my top tips on designing a kid’s bedroom that inspires their imagination. What do you think? Have you any tips to add? 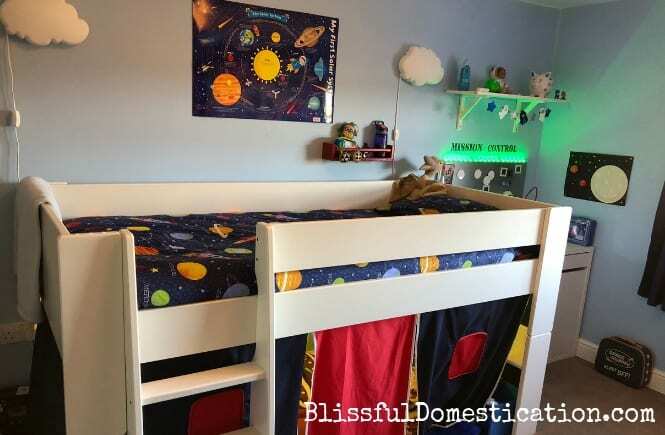 I’d love to hear if you have in the comments, and if you’ve transformed your children’s bedrooms. Disclaimer: This is a collaborative post with Rooms to Grow, but all words and opinions are my own. Previous Post Get Creative with the Kids This Winter Whatever the Weather! Thanks for letting me use your image! The cabin bed is awesome, the two girls want them now, so their rooms will be next after Christmas! Lovely ideas, Kerry! I really like Oliver’s den space and the light in there. Also, the spaceship with the bookcase and mirror is great! We created a jungle themed room four our boy when he was little, but it was just a playroom then, not a bedroom.